Mac-Eden Estate is a wonderful success story of the fulfilment of a dream held by Terry & Jean Dore. The farm is situated 8km outside the beautiful green paradise of Port Edward on the South Coast of Kwa-Zulu Natal. Our own "Macadamia Eden", hence the name. 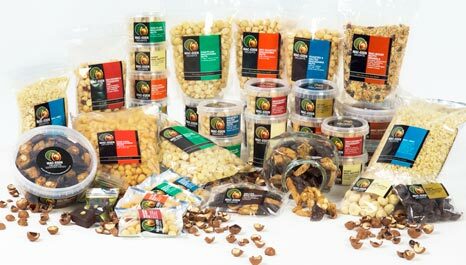 Our delicious range of value-added Macadamia products are now available to purchase online! Visit our site regularly to see our exciting New Products or alternatively join us on Facebook!